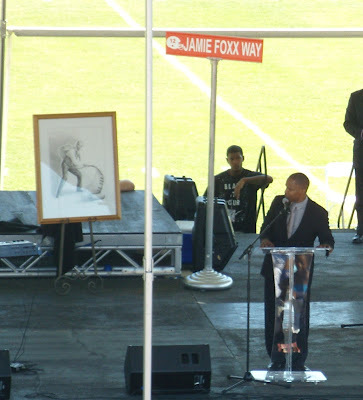 One more photo from this past Saturday =) today's photo shows Jamie Foxx as he addressed the crowd. In the background of this shot, the new street sign that 'renames' Bradshaw Street in honor of Jamie can be seen in the background - the street topper designates Bradshaw Street as 'Jamie Foxx Way' now. 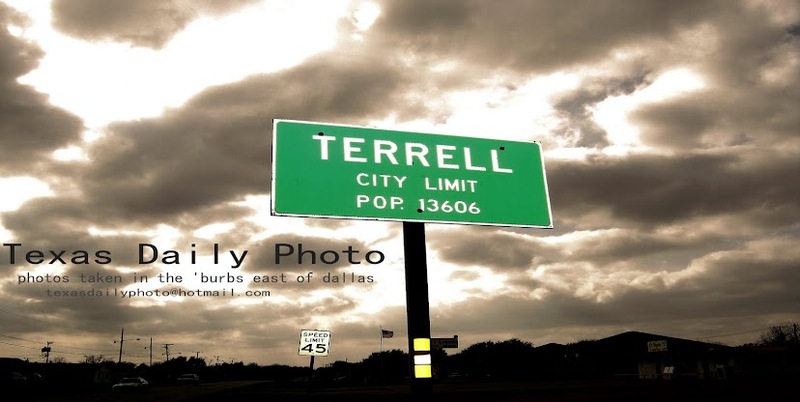 Jamie also played football for the Terrell Tigers during high school, as quarterback, and wore the number 12 - which is also visible. The framed artwork to the left was another plaque in honor of Mr. Foxx that will be displayed in the performing arts center at the high school. It shows Jamie playing a long windy piano keyboard, reminiscent of his role in 'Ray'.